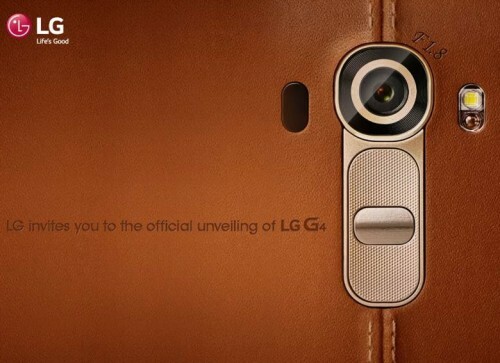 As we get closer to the release date of the LG G4, we’re also hearing more from the local rumour-mill. 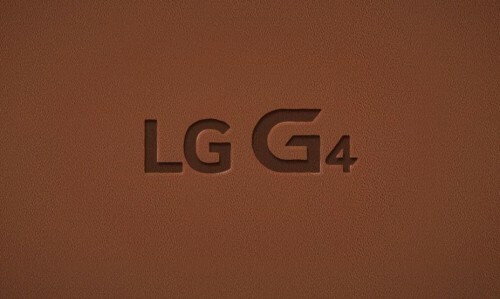 Keep reading to watch some of LG’s teaser videos on the new G4! We also heard that it will come with Android 5.0 Lollipop right out of the box, and may have a camera sporting anywhere between 13MP to 20MP. Rumours of a stylus were also flying round. Today is April 16th and we are now 12 days away from the release date. Let’s take a look at what new information we have on the G4. As LG hands out invitations to their unveiling, the invites themselves show us a little more about the phone. It looks like the invitations sport a stitched leather rear encompassing the camera, which is right above the volume rocker and power button. Our previous speculations on the rear-situated buttons are confirmed to be correct. Instead of the metal body we were hoping for, we’ll have to settle for coloured leather. Given that the model on the invitation sported brown leather, we’re sure that it will come in other colours, too. Here’s to hoping that the material is in no way, shape, or form similar to the plastic feeling faux leather that Samsung is a fan of. Would it be asking for too much if the G4 were to be released with both a metal version and a leather version? A now-removed website spread the rumour that the phone will have a removable 3000mAH battery, microSD slot, and have a flat 5.5 inch display. Other sources are still saying the phone will have between 5.3-5.6 inches, so we’re not confirming anything yet. Although we can’t confirm the screen size or flatness, LG has released a teaser video about the display, touting that not all QHD displays are the same—that their IPS Quantum display being brighter and better than others. We’re looking at either the Qualcomm Snapdragon 810 or LG’s own Nuclun processor. The Nuclun is an octa-core processor efficient multi-tasking master (or so we’ve heard). It will support 4G, LTE-A, and be backwards compatible with other LTE networks. However, because LG’s G Flex 2 sports the Snapdragon 810, we think that their flagship will also receive the same. We’ll also note that there are more rumours out there supporting 3GB of RAM rather than 4GB. Although 4GB would be fantastic, we still wouldn’t have anything to complain about if the phone were released with 3GB. Just shortly after we posted our first update on the G4, LG revealed that the phone will sport an 8MP snapper in the front and a 16MP camera in the rear. The rear camera will also have F1.8 aperture, which edges out the latest in Samsung’s camera phones. On paper, this phone will be excellent in terms of capturing extra light in lowly lit environments, but we’ll have to see how grainy photos will turn out in practice. Well, we’re definitely excited for April 28th, that’s for sure! Despite complaints of the Snapdragon 810 having overheating issues, we’d be disappointed if LG chose any other processor for their flagship. As for the body, even if the phone doesn’t receive a metal chassis upgrade, real leather would be an extremely nice touch that we think would be well received by everyone. We’re really happy to see that the phone will come with a removable battery and expandable storage. Especially since Samsung removed these features from the Galaxy S line, we’re sure that it will give LG another edge. What about you? What would you like to see from the LG G4?